Prime Minister Narendra Modi today launched a scathing attack on the opposition for seeking evidence of the Indian Air Force (IAF) airstrikes in Pakistan, following the dastardly terror attack on a CRPF convoy in Pulwana, Jammu & Kashmir. Modi claimed such ‘irresponsible’ statements by the opposition were only giving fodder to the propaganda of Pakistan against India at international forums. Addressing a public meeting in Kanpur, he said the valour of the Indian defence forces had instilled pride among countrymen and showed their capabilities. “However, some elements in India doubt the valour of our army and their conduct was to demoralise and insult our defence forces,” Modi said while calling out for the public opinion if such people be ashamed of their deeds. Recently, West Bengal chief minister Mamata Banerjee had demanded proof of the February 26 IAF air strikes in Pakistan’s Balakot, 80 km from the Line of Control (LoC). She had said people ought to know the details of the operation and the number of casualties there. Similar demands have also emerged from leaders of other major political parties. Modi maintained such allegations by the Opposition were helping Pakistan and that such parties were deliberately acting for the sake of political vendetta. “These people are giving power to our adversaries and those harbouring terrorists,” he said adding elections would come and go, but such ‘irresponsible’ statements were uncalled for in the larger interests of the nation. Modi underlined Pakistan stood isolated internationally and was under intense pressure to act against terrorists. “Pakistan has been caught red-handed (harbouring terrorists) and is now looking for a face saver. But, the statements by some of our own people are helping our adversary,” he lamented. The PM asserted his government was fighting a decisive battle against terror and therefore terrorists were getting desperate, which he claimed manifested in the grenade attack in Jammu yesterday. 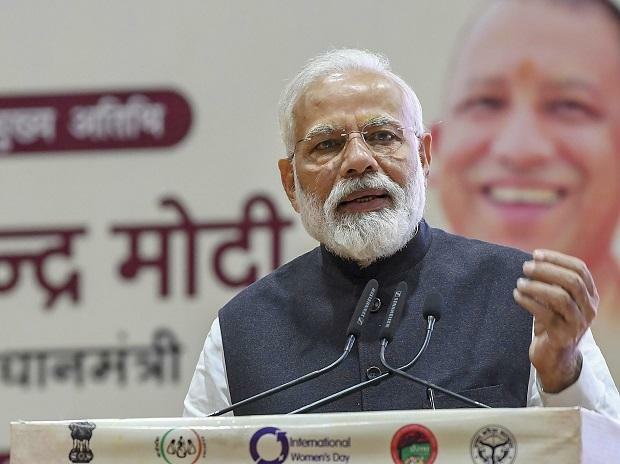 Meanwhile, underlining the need to stay united, Modi condemned the attack on two Kashmiri men in Lucknow on Wednesday even as he lauded the Yogi Adityanath government in Uttar Pradesh for promptly taking action in the case. In fact, he advised all states to ensure that communal amity and unity was not disturbed by those fomenting trouble. Modi also inaugurated the phase II of Lucknow Metro apart from laying the foundation of metro rail projects in Kanpur and Agra cities. In all, the PM laid the foundation of or inaugurated various infra projects totalling more than Rs 23,000 crore in Kanpur, including Namami Gange, metro rail, sewage treatment plant, housing, power etc. He also laid the foundation of the expansion of Panki thermal power project at an investment of Rs 5,800 crore. Modi observed he was known for not only laying foundations, but also inaugurating projects. “This means, when this thermal power project would be ready in another three years, I would also inaugurate the project,” he said, exuding confidence of winning the coming Lok Sabha polls. Before coming to Kanpur, Modi had arrived in Varanasi this morning from New Delhi. He offered prayers at the Kashi Vishwanath temple in his parliamentary constituency and laid the foundation of projects to promote religious tourism there. He is later scheduled to visit Ghaziabad for inaugurating and laying the foundation of projects worth over Rs 32,000 across various sectors.